There have been many great sporting rivalries throughout history – Ali v Frazier, Sampras v Agassi, Senna v Prost – but arguably one of the most compelling was that of Niki Lauda and James Hunt. Two young Formula One drivers who fought through vehicle trouble, dangerous weather and even a horrendous crash to get their hands on the title, their battle for the world championship gripped fans and skeptics alike. 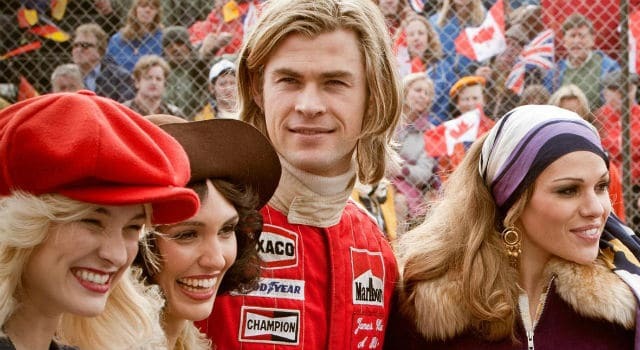 A new Rush trailer is now online from director Ron Howard. The trailer features new footage and of course Chris Hemsworth.